Are there solid reasons to hire a life coach? 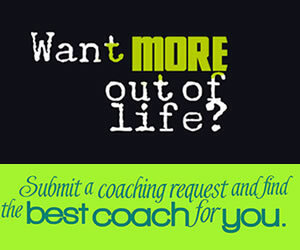 Is there any evidence to suggest that life coaching is helpful? We will explore these questions and more in this post.. Many of us want more out of life, but it can be easier to just stay where we’re at, right? These are times when a boost from someone who has been trained as a life coach can make all the difference. There are so many ways in which a life coach can benefit you, not only in your professional life, but in your personal life as well. Sometimes you find yourself in a position where you simply can’t see what’s ahead. You can’t visualize how things will ever change, even though you desperately want them to. You feel stuck and unsure how to move on. This can apply to your relationships, your career, your personal and emotional life, or any plans you may have. Or, maybe you can see the path ahead, but are overwhelmed at the idea of actually taking the steps needed to get to that better place. This is where life coaches shine. Life coaches are experts in giving you the breakthough you need to end self-sabotage and get unstuck. Of course you're stuck. No one is meant to breeze through life without getting stuck at times. More than ever, this is when you need to reach out. If you’re questioning your abilities, doubting your strength, and feeling defeated before you’ve even gotten started, you need the boost that a life coach can provide. Self-confidence isn’t something you can just pull out of thin air. Self-confidence requires competence and skill, the ability to harness personal resources, as well as belief in yourself. Just as a sports coach trains and motivates athletes, a life coach can help you see the strength and skills that you possess and build from there. Even if life is going really well and you feel like you’re on the right track, you can still want... more. Whether you’re seeking to grow in your personal relationships, your career, or even just develop and enhance the lifestyle that you’re living, it’s never a bad time to do exactly that. What does 'more' consist of? It can be more money, more success, and more material stuff. Nothing wrong with these. "More' can also mean deeper connections to others, a keener awareness of your own feelings, greater insight into your purpose in life. The greatest peace and contentment in life comes from fulfilling needs at multiple levels. Beginning with your personal safety and survival, on through material success, social recognition and inner self-actualization. Maybe you aren’t lacking in confidence, and you know that you could be successful if you just gave yourself the chance. For whatever reason, you just can’t seem to take the leap in order to achieve your dream. Fear is holding you back, and sometimes, you can’t even identify the reasons why. With guidance and direction from a life coach, you should be able to let go of your fears and give yourself the opportunity to succeed. Sometimes, all you need to put yourself out there and move forward is a push from someone who is in your corner, reminding you that you do have what it takes and you are capable, as long as you’re willing to put in the work. Beyond the nudge forward, a good life coach will also pay attention to your personal ecology. In other words, what could go wrong? How much risk are you taking? What's at stake and are you really prepared to move ahead? It's helpful to get both encouragement and wisdom at the same time! Maybe you'd been putting off doing something important - or just for you - for a long time. And maybe that time has finally come! What now? The support of friends and family is important, but it can take more than that, and that’s where a life coach comes in. If now is the time, then a life coach can ensure that what you've been waiting for will be worth the wait. Why not be thorough, get regular feedback and do everthing you can to ensure success? Self-improvement can be difficult to do on your own. With a life coach, you’ll get the right tools and the positive motivation to forge ahead, overcome obstacles, make the changes you desire, and live out your dreams, no matter how large or small those dreams may be. No. However, there is research to back life coaching. When you are willing to put the effort in and also enlist the help of someone that specializes in productivity and success, things are much more likely to lean in your favor. 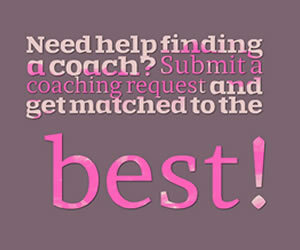 What can you do to ensure the life coaching process is as successful as possible? We’ll explore this question in a later post, but for now, here is one brief suggestions. Own the coaching process. Your coach works for you and you are responsible to get what you need. 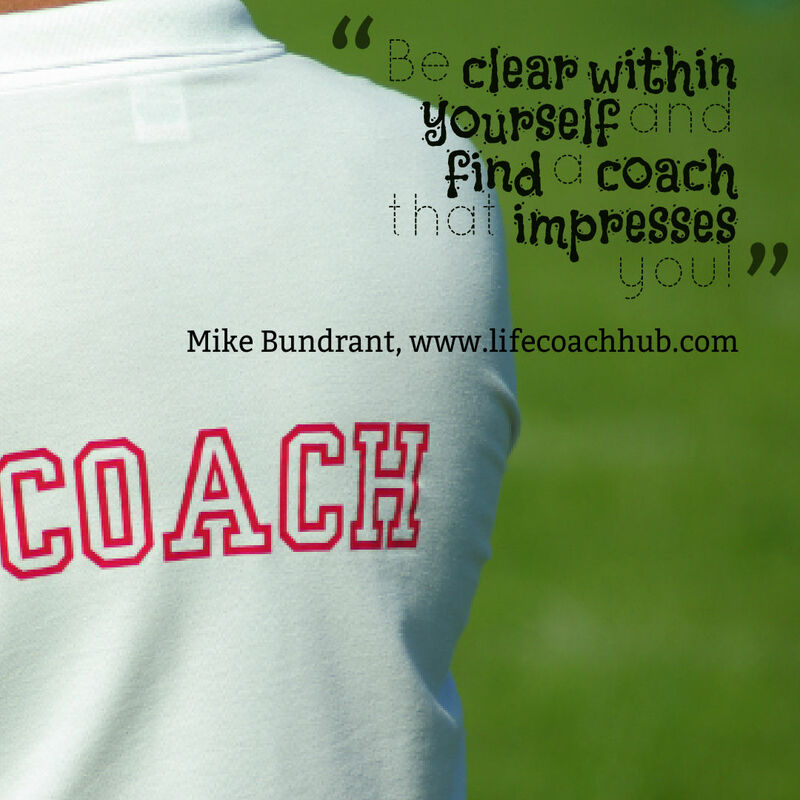 Be clear within yourself and find a coach that impresses you!